In this post, you’ll learn how to earn money online using the best methods. Since 2010, I’ve tested a lot of ways to earn extra income from home. I am about to show you the ones that will make you $1000+ extra cash per month. PS: It takes time to earn such income online. But you can do it. you’re a student who wants to earn money online. if have only 1 hour to spend online or can spend the whole day. you want to earn side money in your free time. it does help you to earn $1000+ in extra money. I will skip the “is earning money online is legit” stuff. I’ll go straight to the best ways to make money online. But I’ll show you proofs of payment to boost your confidence. Companies will pay you just to answers questions. So, it is one of the easiest ways to earn money online. Swagbucks: it works for people living in Australia, United States, Canada, Ireland and the United Kingdom. You get $5 signup bonus. You can cashout your earnings via PayPal or redeem points via Amazon gift cards. You get paid to do surveys, watching videos, referring your friends, and searching the web. You also get cash back if you shop online. Join Swagbucks now. SurveySavvy: It is an international survey site that pays cash. You get paid $3 per survey. You can refer your friends and earn $2 per survey they take and get $1 for the surveys completed by their referrals. There is no minimal withdrawal. Cashout as you earn money. Create your free SurveySaavy account today. Acop: American Consumer Opinion is a global survey site. You can signup from worldwide and earn money completing surveys. You earn points you can convert into cash and cash out when you reach $10 in earning. There are more legit survey sites you can join to earn money online. The more you join and the more surveys you complete, the more money you’ll make. It is easier for people in tier 1 countries to make money with surveys as advertisers pay higher for people in UK, US, Canada, France, etc… But people from worldwide can also join global survey sites and earn extra income in their free time. One of the best ways to earn money online is to sell stuff. If you have the right audience, it is easy to make $1000+ per week instead of $1000+ per month. Find your path to extra income online. Pay attention to what you can sell and where you can sell it. If you can create a design that fits on a t-shirt, you can make money selling t-shirt designs online. To be frank, you can just type text if it resonates with a specific audience willing to wear it. All the hard work is done for you. 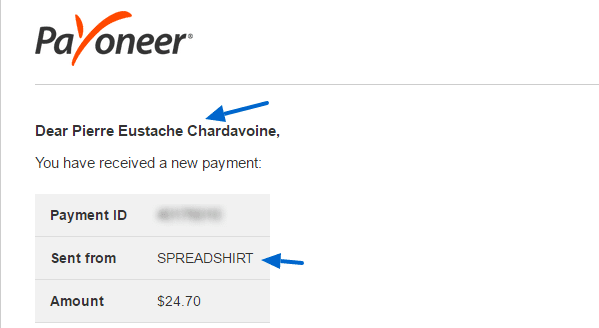 You don’t have to manage inventory, print t-shirts or ship them to buyers. The Print-On-Demand company take care of that. You just have to upload designs, optimize for keyword research or promote through social media, and cash out earning when you make a sale. Their print quality is high. They have promotion methods to help you make sales. they really pay and have convenient payment methods. I’ve written a detailed post about the best sites to sell t-shirts online. I sell t-shirt designs online and make money through it. Another awesome way to make money online is to sell courses. Most bloggers earning six figures are making 60%+ of their income from the courses that they sell. You can sell courses on your blog or on platforms that make the work easier. Thinkific, Udemy, and Teachable are three of the best platforms to sell courses online. You can start for free, even if Thinkific and Teachable have paid plan as well where you pay less fees and have more features. Your courses assets (videos, PDFs) are hosted for free. payment processors are already integrated. So, it costs less than doing it all yourself even if you upgrade. But it’s good to still have all of these for free if you don’t mind getting only 90% of sales. I have no course yet. but I make money promoting online courses as an affiliate. You can sell downloadable items and services online to earn extra income working from home. You can sell e-books, music, videos for free. I have a detailed article about places to sell electronic stuff and services online. You can check it out to explore your opportunities. It is one of the best platforms to sell stuff online. You can sell physical items such as a computer, books, gym equipment. One of the best features that I like on Amazon is the ability to sell e-books and print on demand book. It means, people can buy an electronic version. But if they like, they can order a print version and it’s Amazon who will print and ship the book on your behalf. You just have to write the book and cash out your income when you make a sale. you’d like to sell both online and offline. the items you are selling need a customized store. Not a store selling only courses, downloadable or limited to a specific product. 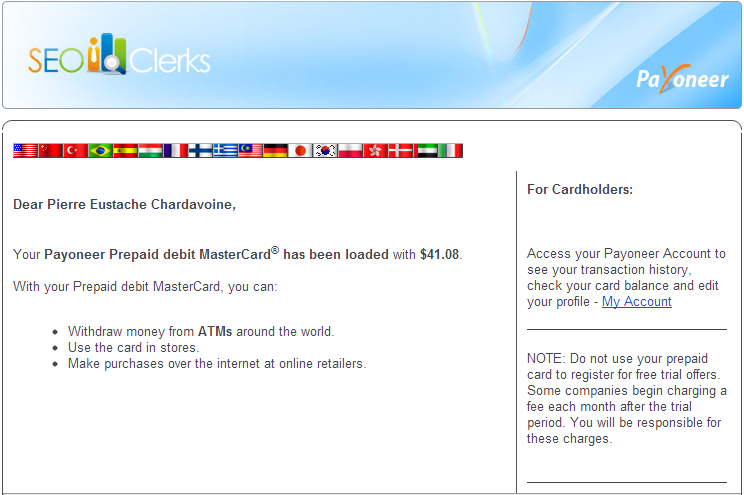 you want to read credit card at post-office, online and use PayPal while you get paid directly into your bank account. Like I said, Shopify can do all of this if you want to start your store to sell online. Plans start at $9.99 per month but you can start with 14 days free trial. You can start a store on platforms such as BigCommere or 3DCart as well. Or you can start a store with Woocommerce and WordPress. I just find the plugins expensive. Buying and selling domains and websites is a great way to earn money online. You can buy a domain for $10 and then sell it for $500. You can see examples of such domains on buydomains.com. Or you can start a blog, develop within a few months to sell it for $150,000 after. I am not a fan of flipping websites because I am attached to mines. But if you’d like to, you can go on Flippa. When a domain name is not sold, you can monetize with with domain parking. Affiliate marketing is one of the best ways to make money online. You can earn extra money from home by promoting people’s products. Recommended reading: what is affiliate marketing and how to start? You get up to 10% for physical products, up to 75% per software and up to 200% per services. With Affiliate marketing, you can make real money online fast. I’ve promoted products that make me $2000 per sale or high paying residual income per month. 20+ High Paying Affiliate Programs That Pay Up to $7500 per sale. 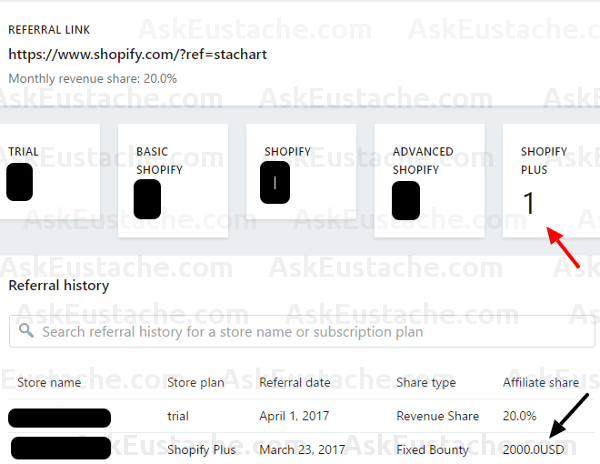 Shopify Affiliate review: How I Earned $2000 With A Single Sale. So, affiliate marketing is one of the best money making ideas to $1000+ in extra cash online per month. Affiliate marketing is listed separately because you can start affiliate marketing without a blog. But with a blog, you can make a sustainable business online with affiliate marketing. You can make extra income online with a blog. In fact, this is the main way online entrepreneur are using to bring in extra income online. You can make money blogging directly with display ads and affiliate marketing. You can use it to get people to buy your online courses or services. If you don’t have a blog yet, read the tutorial to learn how to start a blog that earns money. 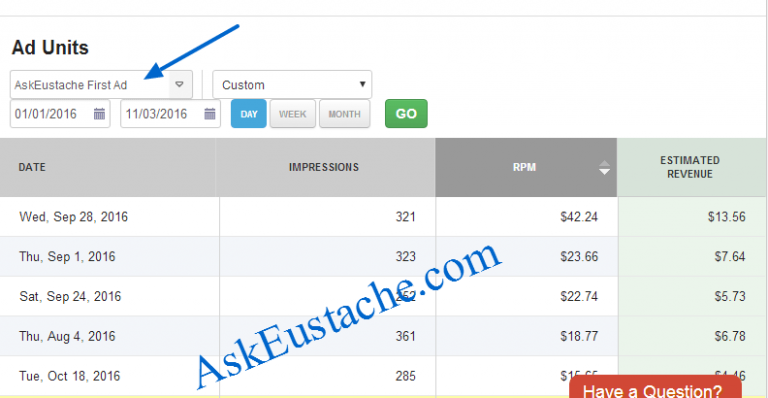 How to get up to $15 CPM with ads on your blog? 5 steps to increase affiliate income on your blog! With $15 CPM, you’d make $1000 a month getting 66,667 page views each month to your blog. Dropshipping is a kind of business where you sell products that you don’t own. It means, no inventory, no need to spend money on buying products first, no need to worry about shipping. You do stuff like building the online store, customer support. But you buy the product from a merchant at a low price who ship the product to the customer. You spend money when you make money. You work from home and get paid doing jobs for people all over the world. You can find freelance jobs on marketplace such as freelancer.com or upwork.com. You can also make money online with online micro jobs where you get paid completing small tasks. 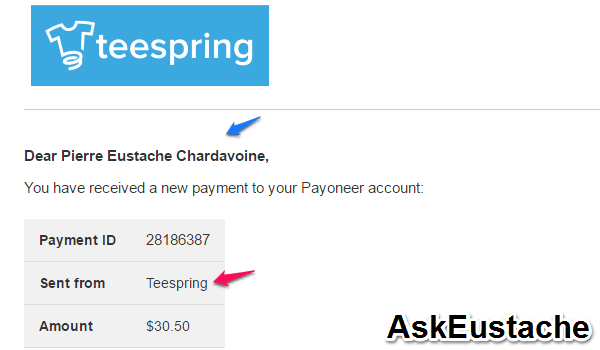 One withdrawal from Seoclerks via Payoneer! By example, you can promote a post on four social accounts for a client and get paid $5. I’ve got into the details of micro online jobs in a recent posts. You can find such jobs on micro jobs sites like SEOclerks or PeoplePerHour. You can make money with cash back sites when you shop online. Then, you can also make money by referring your friends to save money using these sites. Ebates: Get $10 signup bonus. Get deals and up to 40% cash back. You can also earn $5 per referral. 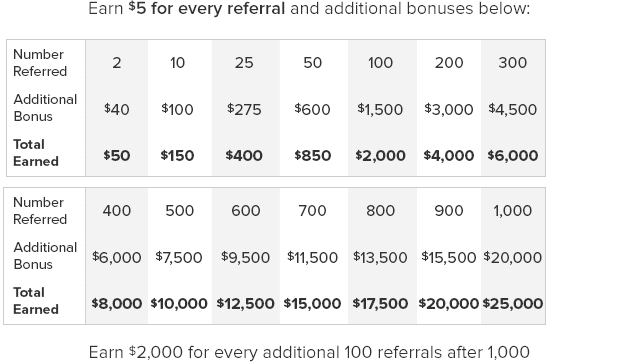 When Ebates run bonuses, you can earn bonuses like explained in the image below. Payment are made each 3 months via Paypal or cheque. Only by referring friends, you can make $1000 per month with Ebates. If you shop online, make money by saving money. Mr Rebates: Same as Ebates. You earn money by saving on your online purchases. The minimum payout is $10 via PayPal or cheque. You earn 20% referral’s cash cash with their refer-a-friend program. Get paid to contribute articles to people’s blog. You can write for established blogs and get paid up to $1000 per post. so, if you get one article accepted per month, you earn $1000+ in extra income. Digital Ocean: You get paid $200 per article you write for Digital Ocean. Article must be about Linux and FreeBSD Cloud hosting because they are a hosting company. ListVerse: The site requires that your post has more than 1000 words and should be a list of 10 elements. It is about general topics. You get paid $100 per list. MRH: You get paid up to $1000 per 3000 words article you write on Model-Railroad-Hobbyist. Earn money on YouTube: You can make money from the videos you upload on YouTube. If YouTube partners is available in your country, you can make money from ads or paid video. You can also make money with affiliate links in your video descriptions. Or you can you a YouTube media partner. Earn extra income on DailyMotion: It works the same way as YouTube does. You earn money when pre-roll, in-middle and post-roll ads are shown on your videos. You can also make money with pay-to-play videos. make money uploading photos on sites that share advertising revenue with you. You give away photos for free, you earn a small revenue from traffic. I’ve talking about revenue sharing stock photography sites recently. Earn extra money sharing documents online on Docstoc or ShareCash. With Docstoc, you earn adsense revenue share. With ShareCash, your content is locked and you get paid $1 to $20 each time someone complete a survey to unlock them. Finally, you can earn extra cash online by working for established companies. There are a lot of opportunities. Just look for note saying: “We’re hiring”. You can google it or similar sentences to look for jobs. You can work as developers. You can be the customer rep. for the company in your country. or anything else you can do that they need. This is an in-depth review of the best methods to earn money online. You don’t have to use all of them. But you can use more than one to earn extra cash working from home. All these methods can earn you $1000 in extra income per month. However, it is your job to do your homework. Invest time learning how to use more money with your chosen method. In other posts on AskEustache, I give more details for each of these money making ideas. Take the time to read them. Do you think this post will help a friend? Will you need to check it out again? Share it with your friends on social media or save it on Pinterest. I am from Ethiopia,Africa. I want to do business and online work. I have skrill account and I can get Payoneer. Can I work?